Fr Christopher Woods is the parish priest of St Anne’s Hoxton. 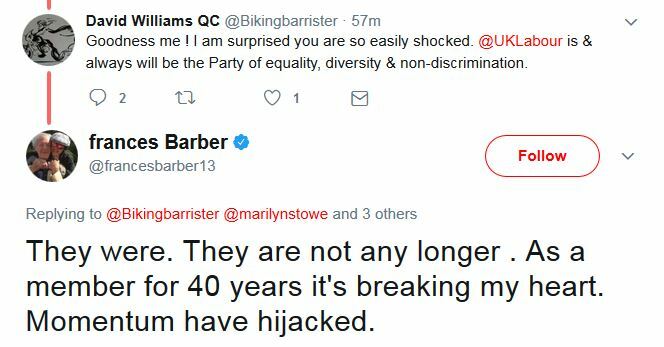 He is a Labour Party supporter, which is laudable, and also a member of Momentum, which isn’t so, but it’s a free country and clergy have every right to involve themselves in the murky morass of democracy. Whether it is sound judgment, of course, is another question. Momentum are the Corbynista revolutionaries who have seized control of the Labour Party, and Fr Christopher is positively evangelical about their virtues. ‘Check out Momentum. I just joined’, he announced on 16th June (there is no comparable ‘Check out Jesus’ tweet discernible over the past few months). 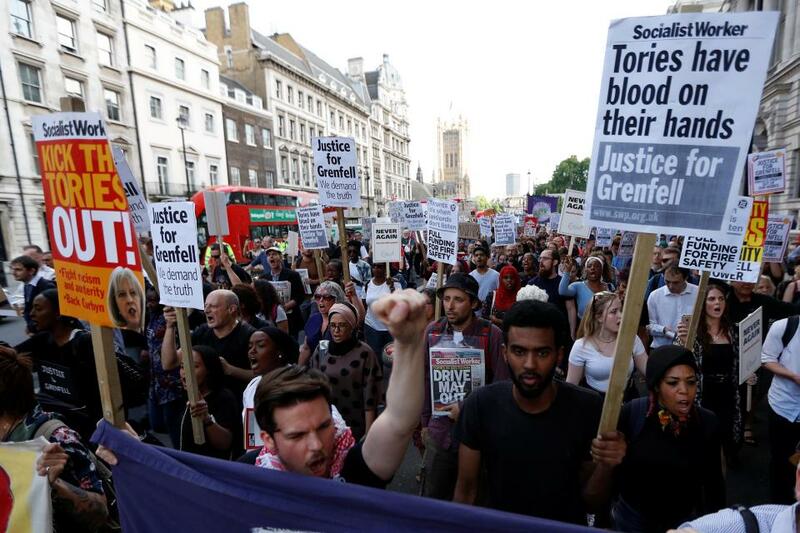 Momentum not only support Jeremy Corbyn, they are (despite the outcome of the General Election) coordinating marches and demonstrations with an abundance of placards proclaiming things like ‘May Must Go’, ‘Tories Out’, ‘Tories have got blood on their hands’, and ‘Defy Tory Rule’. So much for democracy. 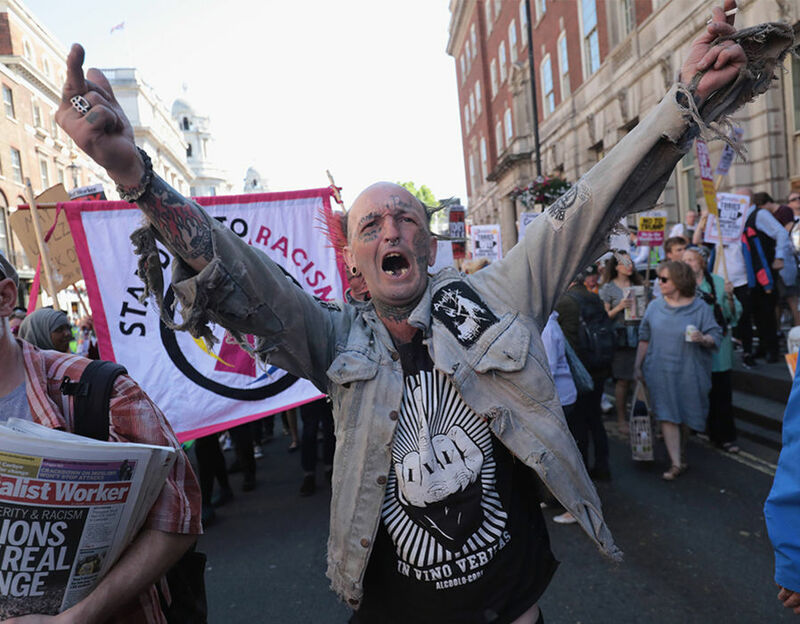 In conjunction with trade union leaders, they are planning a summer of discontent to pave the way for ‘Red October’, when Jeremy Corbyn will, they hope, enter No.10. The misery of the people caused by waves of strikes is of little consequence: the end justifies the means. 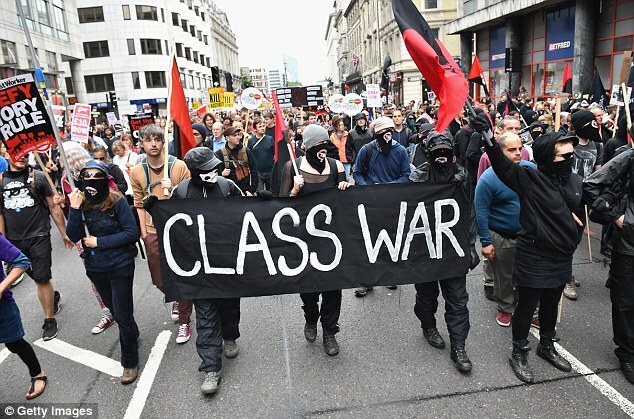 This is a militant Marxist cult of ‘Solidarity, Class Struggle, Socialism‘: ‘Kick the Tories out’ is the stated objective, no doubt with ensuing riots and civil disorder (which, no doubt, Fr Christopher would eschew). One of the ring leaders of this militancy is Owen Jones, who naturally believes, as Momentum state, that “the Tories have lost the consent of the people and cannot rule”. 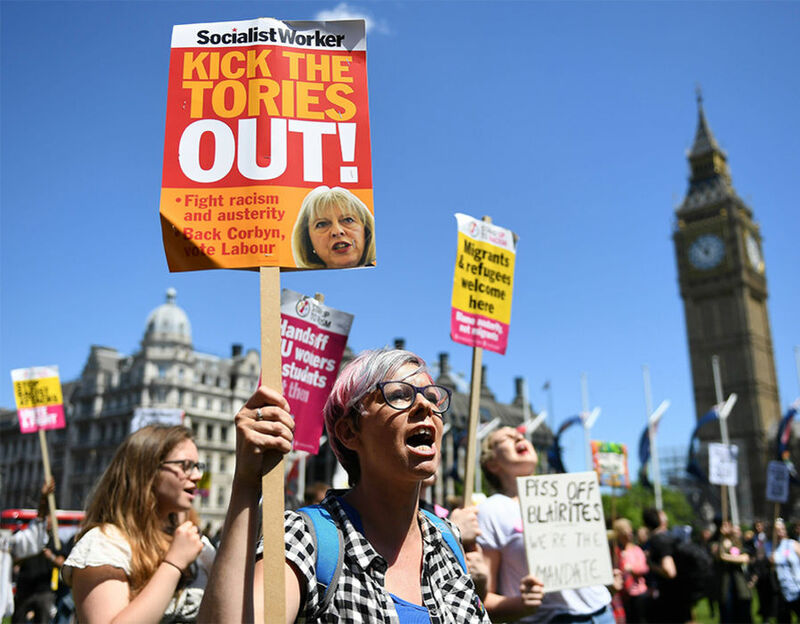 Theresa May and the Tories must go because the people have apparently changed their minds since the General Election a fortnight ago. ‘Someone who is now unable to appear in public can no longer remain Prime Minister. This disgraceful farce has to end’, Jones tweeted (despite May winning 55 more seats than Corbyn, and the greatest popular vote since… O, never mind). Fr Christopher Woods RT’d this tweet on 16th June, the day he gave his heart to Momentum. Now then, Fr Chris (as he prefers to be known) might be a perfectly nice guy and a faithful parish priest, and it is a Twitter axiom that RT ≠ endorsement. But in this case it seems reasonable to judge that he RT’d this tweet because he really does support Owen Jones’s political objective. You only have to survey the rest of his Twitter feed to draw this conclusion. He clearly did not RT this tweet in order to increase attendance at the Hoxton Parish prayer meeting. Is it appropriate for a Church of England priest to be calling for the revolutionary overthrow of an elected prime minister? For this is good and acceptable in the sight of God our Saviour… (1Tim 2:1ff). Lord, the God of righteousness and truth, grant to our Queen and her government, to Members of Parliament and all in positions of responsibility, the guidance of your Spirit. May they never lead the nation wrongly through love of power, desire to please, or unworthy ideals but laying aside all private interests and prejudices keep in mind their responsibility to seek to improve the condition of all mankind; so may your kingdom come and your name be hallowed. Amen. Most gracious God, we pray for the Prime Minister, members of Cabinet and Government and all elected to the Parliament and councils of this realm. Direct and prosper all their consultations to the advancement of your glory, the good of your church, and the safety, honour and welfare of the peoples of this land; so that peace and happiness, truth and justice, faith and godliness, may be established among us for all generations; through Jesus Christ our Lord. Amen. But, alas, Fr Christopher Woods has determined instead to foment discord and agitate for the overthrow of Theresa May, which occurrence would doubtless lead to Momentum choruses of ‘unelected’ and ‘illegitimate’ for whoever succeeds her, thereby precipitating another general election, when Fr Chris and his fellow agitators hope to see JC come in glory and all his militant angels with him. You may prefer to give Fr Chris the benefit of the doubt: the Jones tweet didn’t expressly call for Theresa May to be ousted or overthrown, so perhaps he is simply urging her to resign in a dignified and quiet ‘vicar’s daughter’ kind of manner for the good of the country. 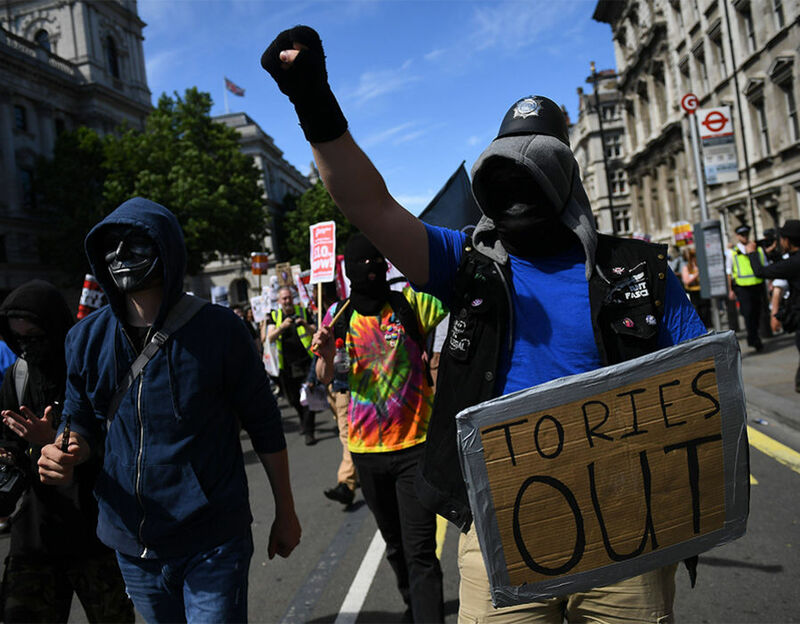 Masked and hooded faces, vulgar and obscene gestures, abusive and anti-democratic incitement, banners of division and dissent. This is what Fr Chris is urging his flock to join. You might think Jeremy Corbyn’s “new kind of politics” has Christian virtue, but it’s hardly a movement for peace and reconciliation. Is this really a righteous and justifiable association for a minister of the Church of England? 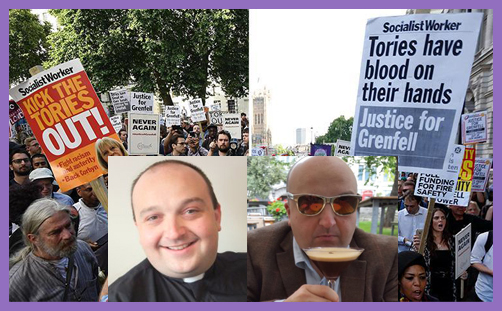 When honourable Labour MPs like Ben Bradshaw and Frank Field and former MP Tessa Jowell denounce Momentum for causing “division, incitement, violence and intimidation”, why would a priest seek to sanctify such thuggery? Theresa May is the democratically-elected Prime Minister of the United Kingdom, albeit leading a minority party. Her task of government is extremely difficult; some might say impossible. But she merits the prayers and intercessions of all Christians, and especially of those who represent and lead the Established Church, that we may lead a quiet and peaceable life in all godliness and honesty. She does not merit their public scoffing and scorn, that we might march in protest and incite anti-democratic revolution. Perhaps instead of joining with those who call for the overthrow of the Prime Minister, Fr Christopher Woods might reflect on the virtue of the ballot box: it is the power reserved to the people in free and fair elections, and the means by which consent is given to those who rule. Until Christ returns, it’s the best we’ve got, and its judgments should be respected. Ye cannot serve God and the Marxist mob. Christopher Woods has complained to his 2,464 Twitter followers about the factual inaccuracies in this blog post, enlisting the support of Russell Brand (12.2million followers) to his righteous quest for justice. No wonder Russell Brand couldn’t be arsed. 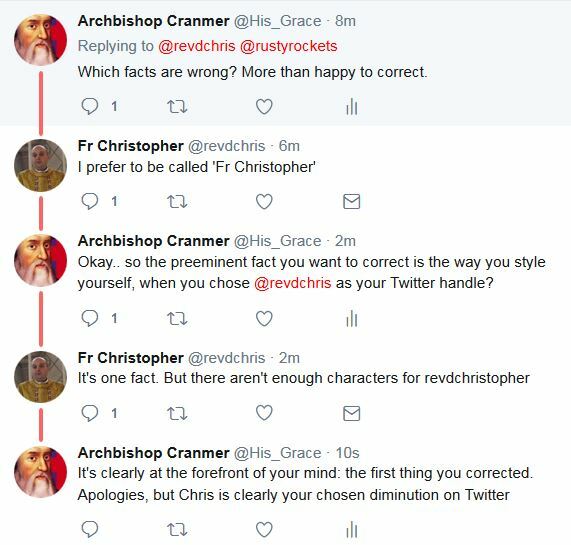 Sincere apologies to Fr Christopher for giving the impression that he prefers to be styled ‘Fr Chris’: everything else clearly stands. 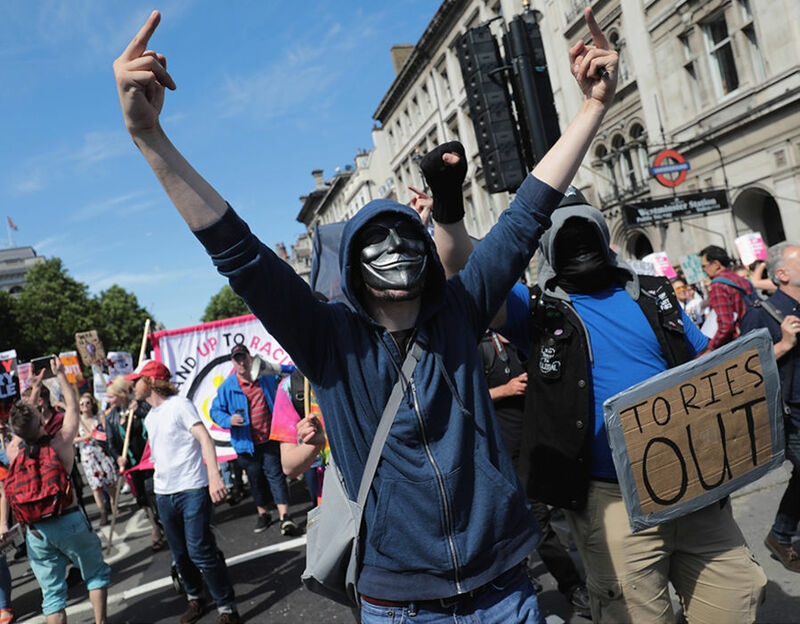 On this Momentum-backed ‘Day of Rage‘ (“organised by the storm troops of the hard Left to bring London to a halt and help overthrow the Government”), one hopes that all right-thinking priests might exhort instead a Day of Prayer.